Singapore, 22 July 2015 – Race promoter Singapore GP is inviting Singaporeans and Singapore residents to sign up for the first ever Fit For Racing fitness challenge, a Rev Up Singapore! initiative aimed at sharing the excitement of Formula One™ across the island. The Fit For Racing challenge is the culmination of an eight-week online fitness video series (see: https://bit.ly/fitforracing) led by Paul Haines, an Australian fitness coach who has trained elite athletes including Daniel Ricciardo. Pairing up with Haines in the Fit For Racing video series is Claire Jedrek, Singapore’s only female race driver. Highlighting a specific theme each week, the series give viewers a sneak peek into the rigorous training regime of a Formula One™ driver to prepare them for extreme G-forces and face plenty of daunting mental and physical challenges while enduring the intense heat and humidity in Singapore’s climate. Participants in the Fit For Racing challenge will go through circuit-style workouts with six competitive challenges that simulate the training plan of a Formula One™ driver focusing on core stability, balance, upper and lower body strength, conditioning as well as full body muscular endurance. The top 12 male and female finalists will battle it out in the finals that will also test their reactive skills. The Fit For Racing challenge will take place on 22 August at the F1 Pit Building from 8.30am. 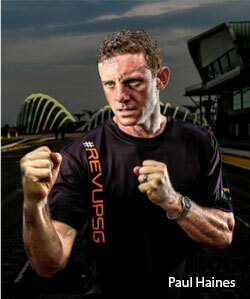 Registration for the event is free and will start today at 3pm on https://www.singaporegp.sg/revupsingapore. 600 slots are available on a first-come, first-served basis. Upon successful completion of all challenges, participants will receive a limited edition Fit For Racing finisher pack. Participants will also stand a chance to win over S$24,000 worth of prizes for the male and female category including The Green Room and Grandstand tickets to the 2015 FORMULA 1 SINGAPORE AIRLINES SINGAPORE GRAND PRIX from 18 to 20 September. Other fan-friendly initiatives lined-up under the ‘Rev Up Singapore!’ campaign include a Thursday Pit Lane Experience and Behind the Scene tours will be launched in the coming weeks. For more information on the upcoming initiatives, fans can visit https://www.singaporegp.sg/revupsingapore or follow Singapore GP Official Page on Facebook or @F1nightrace on Twitter and Instagram for the latest updates.